The award-winning MFPs from Sharp offer innovative features that stimulate productivity. The latest in Sharp MFP systems have been meticulously engineered to help businesses maximize their document workflow efficiency while providing outstanding image quality and performance. These new models offer many advanced features such as a large, high-resolution touch-screen color display with graphical menu navigation, a full-size retractable keyboard to make data entry easy, direct USB printing and remote front panel. Our high-performance multifunction copiers and document systems deliver superior quality and output—but that’s not all. 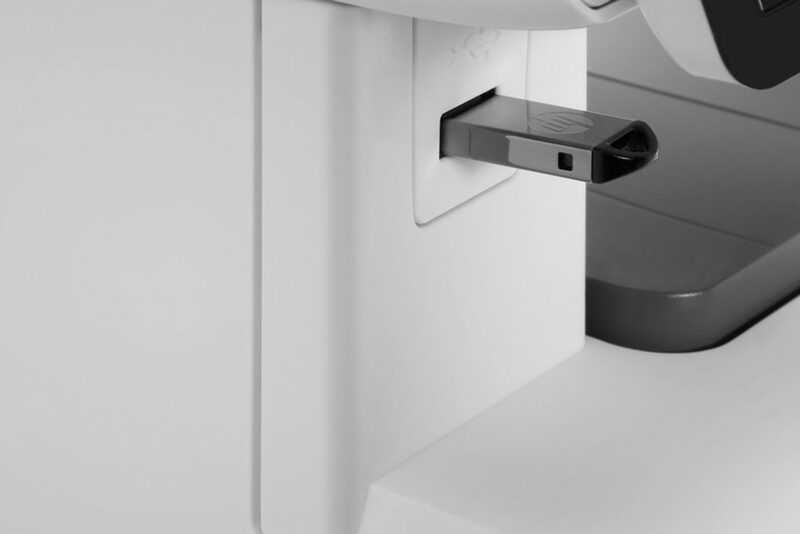 Most models come standard with the innovative Scan2 technology developed by Sharp that allows two-sided documents to be scanned in a single pass—maximizing productivity and reliability while minimizing the chance of document misfeed. Now, all your presentations, marketing strategies and inventory statements can be scanned, copied, emailed and digitally distributed quicker than ever before. Simple operation with total control over input, output and document access, the latest Sharp MFPs incorporate a high-resolution color display, so easy to use to help every operator be more productive. 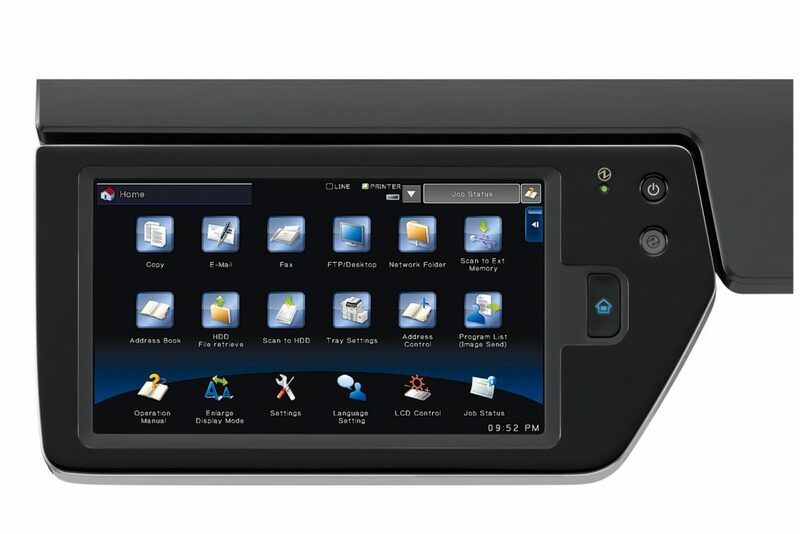 For workflow intense environments, Sharp MFPs feature an 8.5″ wide-screen color touch-display with intuitive graphical user interface. 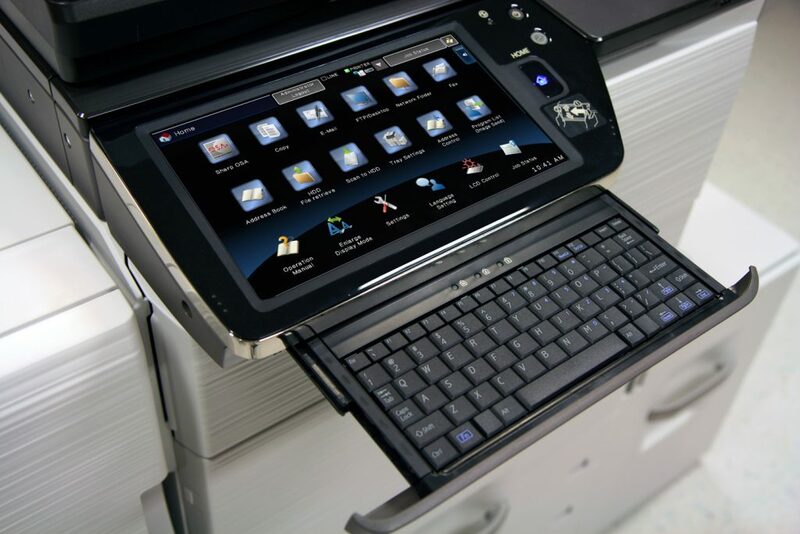 For less demanding applications, other Sharp MFP models feature a brilliant 4.3″ LCD color navigation panel making it easy to process complex color print jobs and deliver documents in less time. With Direct USB printing, users can print color or B & W files in a variety of popular formats directly from USB memory devices such as a ThumbDrive™ or ClipDrive™. ** Need to print PDF brochures in a hurry for a big meeting? It’s easy with Sharp MFPs, just plug in your portable USB memory device, select the file, and your job prints immediately. Ready to learn more about the amazing Sharp line-up that Striglos has available? Contact us today and one of our specialists will be in touch with you soon. Our service agreements never expire – we’ll keep your machine running as long as you have it. When your warranty period ends, our inclusive service agreement begins covering everything but your paper and staples – even toner. Click here to subscribe to our mailing!